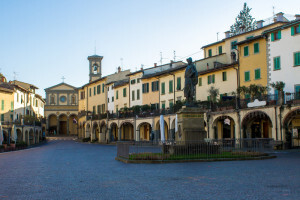 The Florentine Chianti region: Greve and Montefioralle | Che Bellezza! 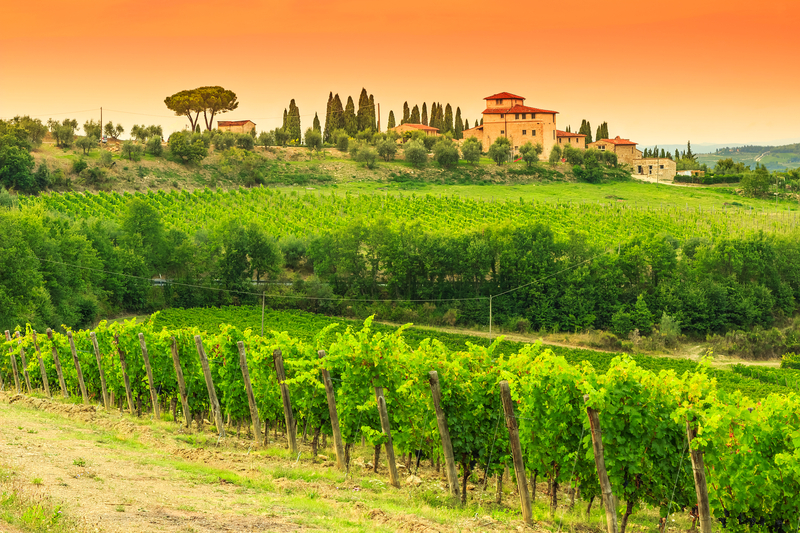 The Florentine Chianti region… Land of rolling hills, vineyards, olive groves and great wines! Come to discover it with us! On the green hills of the Chianti area, the woods leave enough space for sinuous vines, arranged in mysterious centuries old geometries. In the rows of these vineyards grow the Sangiovese grapes, used to produce all the renowned wines of the region. Among the vineyards, you can find small country churches, imposing castles and ancient villages all to be discovered! You will visit Greve in Chianti, considered “the gateway to Chianti”, because of its halfway location between Florence and Siena. 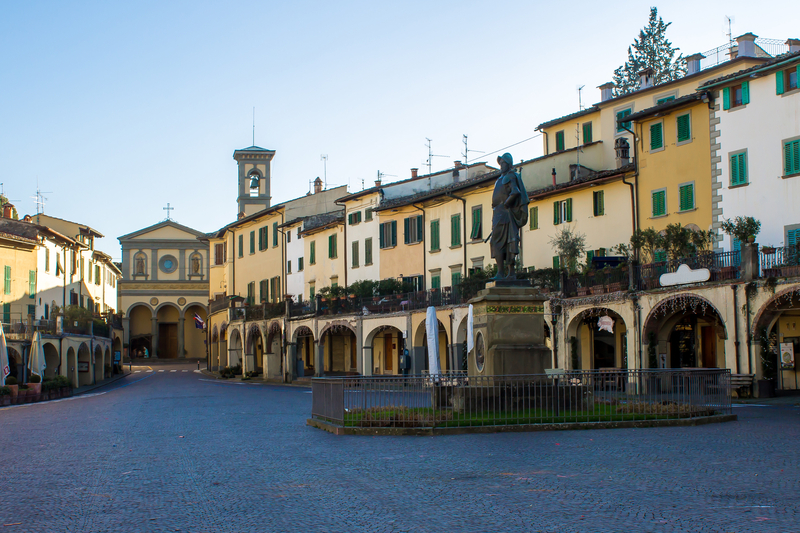 Important center of the Chianti Classico wine region, Greve gathers around its main square: the picturesque Piazza Matteotti, with its ancient arcades, under which you can find fascinating craft shops and stores selling local food goodies. You can taste the excellent local wines, appreciated and exported all over the world! 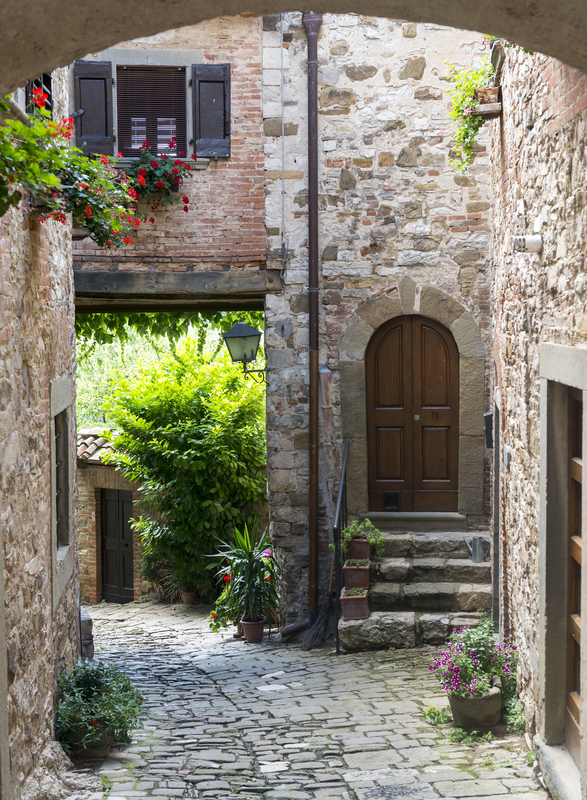 Our tour will also lead you to discover Montefioralle, one of the most beautiful villages of Italy! It will be surely a great and unique experience to stroll through the narrow streets of this ancient village and discover its most picturesque monuments and spots! The charm of its old stone houses will fascinate you! At the end of the tour, you will have the opportunity to stop in a restaurant or farm in the area for an excellent lunch, tasting typical Tuscan dishes, accompanied by the prestigious wines of this unparalleled land! The cost doesn’t include transport (quotation on request). Optional lunch in a typical Tuscan restaurant/farm in the Chianti region, with a wine tasting (starting from 40 € per person).